Blivene's Talents | You name it, We have it! This is for a telecommunication print advertisement. And our talent Jason ( guy in white) with other two talents were featuring as working class people in a middle of discussion. Jason is popular among clients who are looking for a mature, reliable and serious guy for corporate-theme shoots. If you could like to book Jason, please contact us. Pet cuteness of the month! Yet again we have arranged a local celebrity up for the cover of the pet magazine. 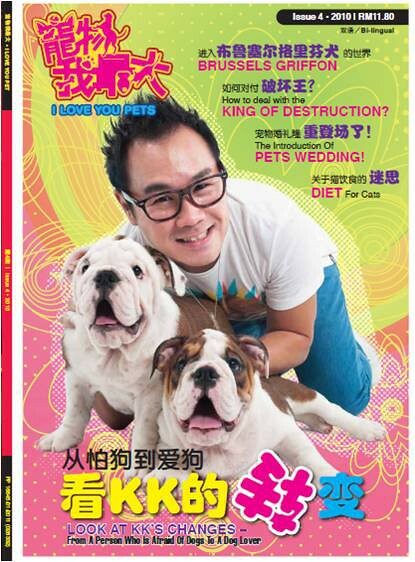 This time it is DJ – K.K with his two bulldogs. You would think that those furkids are a bunch of headache, but look at them! They are real posers! And the shoot went along really perfectly with their master. Who do you think would go on the cover for next issue? Talents: Jakeb Hone (Blivene’s exlcusive model) Elmin (provided by Blivene). How Sin fashion is different from the rest of the fashion brands is that they involed the model in a TVC. 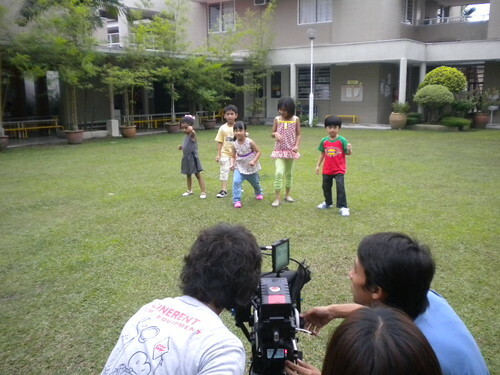 In fact, it is one of the first fashion TVC that is shot in Malaysia. What a pleasant change from the glossy magazine spread! Does the runway belongs only to the slim, tall adults? Blivene has recently prepared a group of bubbly cute little kids for the runway limelight. Most of them have only previously involved in commercials and shoots, but now they are all confident for the runway. Contact us if you are interested to get any of them for your fashion shows.